Like all drugs some people do feel good when they light up mainly because they have conditioned themselves to associate cigarettes or tobacco with good feelings, but there are much better ways to feel good. However these feelings are temporary and they soon relapse back to feeling stressed and and as they were before so the smoker will then have to have another cigarette to bring back those good and calming feelings. The single biggest reason most people smoke is because they use it as a way to help then reduce stress anger issues and anxiety, when you light up it may give you temporary relief from your stress and anxiety. But this is short lived and in most cases the stress very quickly returns once the nicotine levels start to deplete so you then need another cigarette to bring down your stress levels again and this becomes a habit and a pattern of behaviour. Research as shown that most people resist giving up smoking because they are worried they will not be able to manage their stress but those who have successfully managed to kick the habit have surprisingly discovered that on the contrary to what they believed they felt more calmer and relaxed after they had packed in smoking for a while. After a while your smoking can become an habitual learned conditioned response, over time you get used to lighting up during certain times and certain activities and eventually your mind and body get used to these associations. So every time you have a meal your mind will subconsciously bring up images of a cigarette in your mind which triggers the craving to have one and this process can get repeated all the times you would normally smoke. Grab a piece of paper and write down how much money your spending on smoking each year. Just do some simple calculations on how much you spend each day then times that by 7 to give you your weekly total then times that by 52 to give you the annual cost of smoking. Then spend some time thinking about all the things you could do or have with that money that would benefit you or you would have something to show for it. An average smoker can spend over £1500 pounds per year to potentially damage their own health, which could buy you an exotic holiday each year. It can be hard enough for the smoker to quit at the best of times especially at those key habitual moments like after a meal or when your having a drink so the last thing you want to do is to pack up when your feeling overly stressed. If you have personal issues or you have a stressful job or if your worried or upset or because going through difficult times, then your first priority should be to resolve your issues and work on feeling better. If you want to pack up then the ideal time to do it is when your in a good place emotionally. Exercising can help to reduce your stress, suppress the cravings plus it can promote a feel good mood which can cancel out the feel good boost your getting from smoking. If you have been using smoking as a way for you to relax or reduce your stress then you will need to find alternative ways to relax and manage your stressful responses, engage in regular light to moderate exercise. You might think that smoking helps you to calm down but that is a myth because smoking is classed as a stimulant. What is actually calming you down is all the deep breathing that you have to do when your inhaling and exhaling. Things like meditation and hypnosis are great forms of relaxation which again will give you a feel good boost. Taking some slow deep breaths without having the cigarette or tobacco will son start to bring you back to a relaxed state. Another way you can instantly begin to relax is through visualization. Just like the thought and the images of a cigarette in your mind will generate feelings of cravings. Visualizing yourself on a tropical beach and engaging all your senses, see what you see, hear what you here and so on will conjure up positive feelings of calm because your body responds to the thoughts and images being flashed on your conscious awareness. Smoking is a habit and all habits are a learned behaviour which we often think ourselves into, but you have the ability to change your habits by changing your thoughts about smoking. You have formed you smoking habit because you have conditioned your mind to think and associate smoking as being good so your mind believes you need to smoke to relax and feel good. First of all, the decision has to be made on your terms only and not from pressure put on you by others. Too sew the seeds, you need to start to turn things around by beginning to tell yourself how much you dislike smoking and how dangerous it is to your health. To further reinforce this process of transformation start convince and tell yourself of all the positive benefits you will gain by packing it in, this will help too inspire and motivate you even more by changing you perceptions about smoking. Imagine all the advantages and good things you will gain once you have packed it in, like living a longer a healthier life, more money for yourself and family, seeing your kids grow up, the peace of mind for your loved ones and the people close to you. If you smoke because your bored, try to engage your mind in better things to think about or do. Take up new hobbies and interests, find your true purpose and passion and follow your dreams, keep on learning and growing so you can redirect your mind onto more positive and worthwhile activities. Although the final decision to quit smoking has to be yours you will also need good support and encouragement from your friends and family, your doctor or chemist. They may be able to offer you some aids to help your quest. One of the reasons people become addicted to smoking is because they have associated having a cigarette with helping them to feel good in some way. To break a bad habit you need to replace the bad habit with a more healthier substitute so instead of rewarding yourself with a cigarette replace it with a better option. Most smokers will grab a cigarette at times when they feel like a quick break, maybe to take five minutes rest after doing their house work for a while, their chores or during their job of work. Obviously you will still need to have your rest periods, but try and replace them with a substitute little treat so your still maintaining the pleasure feeling but your replacing it with something less harmful. Grab a refreshing drink or have a cup of tea, especially the herbal relaxing teas as they will help to calm you down as well, even have a piece or two of dark chocolate which is know for it's feel good properties. Put aside all the money that you have saved from not smoking and every so often give yourself a reward by spending the money on something you want or like doing so you your condition your mind to see the positive benefits of not smoking. Many smokers make it their new years resolution to pack in smoking, but should setting specific dates be the reason to stop. When you make it your new years resolution you will be strongly relying on will power. A few very determined smokers will manage to pack it in by using will power however will power for most individuals is very often not enough and the temptation to smoke will always be there because they did not quit because they really wanted to they did it because they thought they needed to pack it in or they had felt pressurized to stop. To pack up permanently you have to really want to stop smoking and you need to do it for all the right positive reasons and not because your trying to forcefully make yourself stop. Very often when you try and do something against your will you will feel more compelled to have what your trying to force yourself not to have, it is human nature to want the things they cannot have. 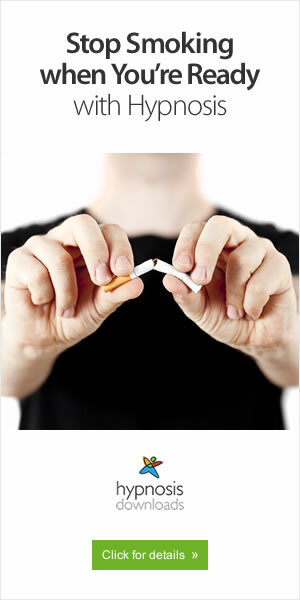 However if you reach a stage where you become sick and tired of smoking then you will find it easier to quit. Gradually changing your perceptions about cigarettes can help to make packing them up a lot easier. This is one of the few cases where you can put fear into good to drive you to quit by painting a negative mental picture in your mind instead of the positive ones your holding. The reality is it can be a very expensive life sentence your putting on yourself. A good question to ask yourself is, is smoking more important to you than running the risk of not seeing your grandchildren growing up or leaving your children to go through a large part of their lives without a mother/father or leaving your partner on their own. If your determined to smoke then no amount of preaching about the health risks and consequences will help you and in the end it's your decision and choice and nobody else's. But if you really want to quit smoking then trying to chip away at your perceptions and getting your mind to see smoking for what it really is can make it easier for you. One of the major reasons people are apprehensive about packing in smoking is because they are concerned that they are not going to feel good any more. It's like them kind of feeling they are going to be deprived of one of life's luxuries, some even think it may stop them having fun. However this is merely from psychological perspective. You need to realize you can still have fun and you can still feel good without relying on cigarettes to achieve this. You have probably heard many times how hard it is to quit smoking and you have probably conditioned yourself and bought into this belief to the point where it has become a self fulfilling prophecy. The trouble is, what you think and believe will be true to you so if you think it's hard to pack in cigarettes and it's going to be a struggle then the chances are it will prove to be hard for you which will cut down your chances of quitting. But you do not have to live your life around other people's opinions, start to tell yourself that you can pack it in easy at any time you want. Many people quit each day, so if they can so can you, just try not to make it a battle with your mind and feelings. Anything that can help you in your quest to give up smoking can only be a bonus and health experts recommend aids like e cigarettes, nicotine patches or nicotine chewing gum, as these can help you wean yourself off cigarettes and tobacco. The latest research conducted with e cigarettes has yielded some positive results according to Public Health England (PHE) which has said that e-cigarettes cause less damaging to your health than smoking tobacco. The health body has suggested that e cigarettes are approximately 95% less harmful than smoking cigarettes and tobacco so they maybe a better alternative to other stop smoking products. Every body knows how powerful hypnosis is for overcoming addictions and it has been proven to be more successful than many of the other methods available because not only will hypnosis help you to break the addiction it is also one of the best relaxing and stress busting tools available. As we have already mentioned will by itself is not usually enough and all it takes is the slightest off day, bad news or if your feeling a bit emotionally overwhelmed and you can easily reach for a cigarette day. But with hypnosis you will be making the changes at a deeper subconscious level and when you get your conscious mind and your subconscious mind in alignment and in agreement then that's when you can replace those bad habits and put a stop to all the cravings and compulsions.